Yeah, that sure was helpful. Jeff has such lovely green eyes. I could get lost in them…..
Jeff is so under-appreciated. Here he is helping with the chores, and this is the thanks he gets? 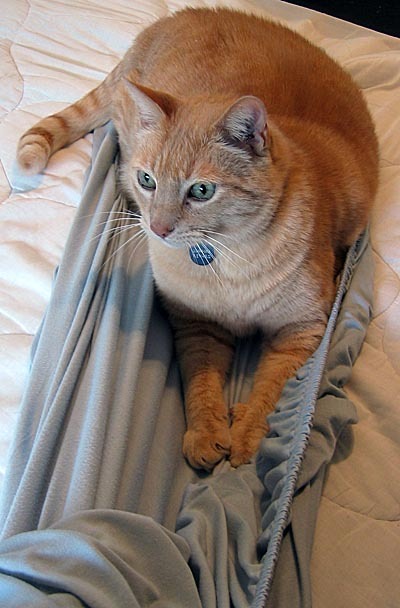 From what I can tell, that fitted sheet needed a good killing anyway. I was/am a fan of what Jeff killed – i love the new site. I’m glad you took Jeff with you and made him an official part of your family. Lucky cat. 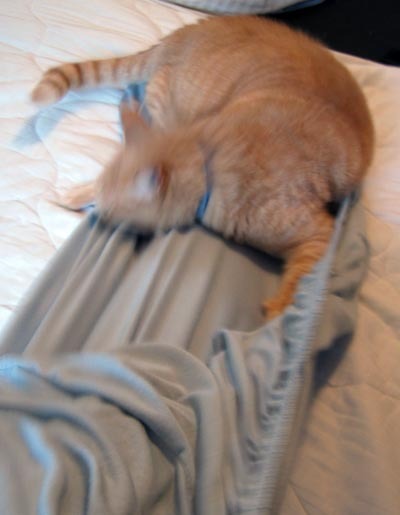 Jeff was merely inspecting the bed sheet is of a high standard & quality before it is allowed to be used as his new bed-from the looks of it he is pleased. This is your big chance to make toast! 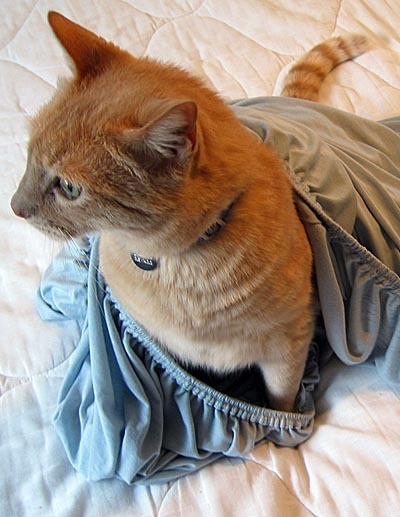 Jeff was merely checking the thread count of said sheets. Are they appropriate for shreading?